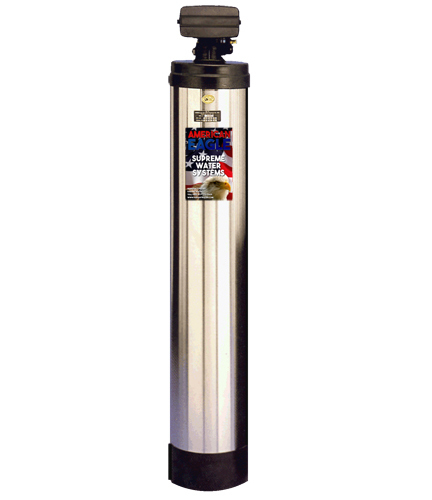 This alternative to water softeners uses no salt and reduces chlorine chemicals, taste, and odor. The Eco/Green Series is great for drinking, bathing, and plumbing. • A polished stainless steel outer tank encases a fiberglass filament center tank, which surrounds a heavy plastic blow-molded inner tank. • Leaves minerals in the water, and self cleans with fresh water. • TAC Scale Reduction also available on this model.